You have to remember though that High Speed Sync changes the flash output. You no longer get a full blast of light, you get a series of pulses that start just before your exposure and end just after. Because the shutter moves so quickly, High Speed Sync actually tricks the camera into thinking there is more light than not. So if you have your flash set to 1/1 or full power, the pulses drop the power by 2 stops, so effective output is now 1/4. This is important to note as you’ll need to review images, adjust aperture to 2.8 or 4, and then maybe even raise ISO. For strobe lighting, the effect is called Hypersync, and it is literally the same. You preset what is called the Hypersync Offset in the Pocket Wizard Firmware so in effect the triggering system is working like High Speed Sync; that is, it tricks the strobe into giving more light than it wants to. The strobe fires before the exposure and lasts till after the exposure to effectively light the subject with very, very fast shutter speeds. This is how you set the Hypersync Offset. 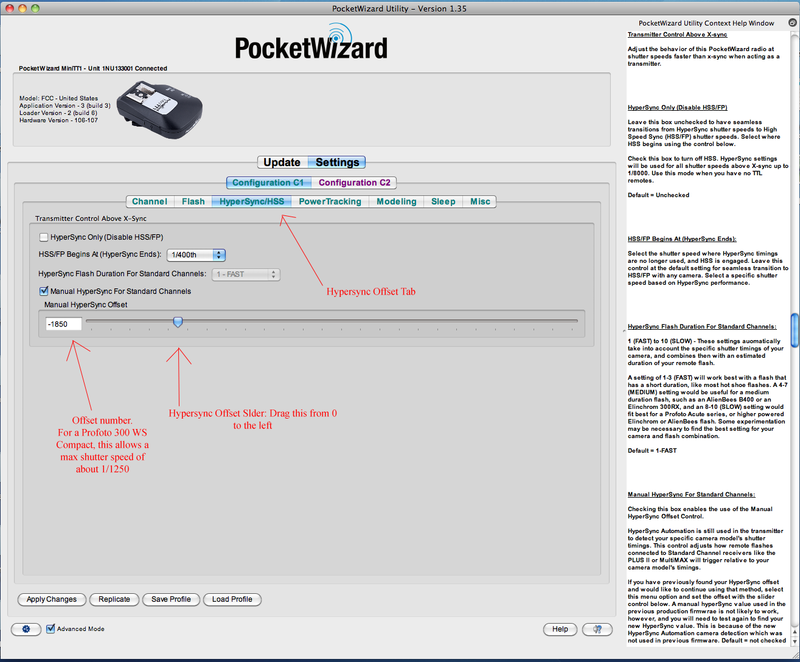 Go to the Pocket Wizard Firmware, click on the Hypersync/HSS tab, then click on Manual Offset, and then draw the slider to the left. I did a Google search on it and found various settings to get started. You will need to test your strobe and camera combination. Set your Pocket Wizard Flex to an initial setting, test your strobe as far as you can with shutter speed before a black shutter line appears, then reset the offset if needed. I set my Flex TT1 and all three of my TT5’s this way and get fabulous results with high shutter speeds. That’s it. It will take a bit of time to get it set, but it is totally worth it. 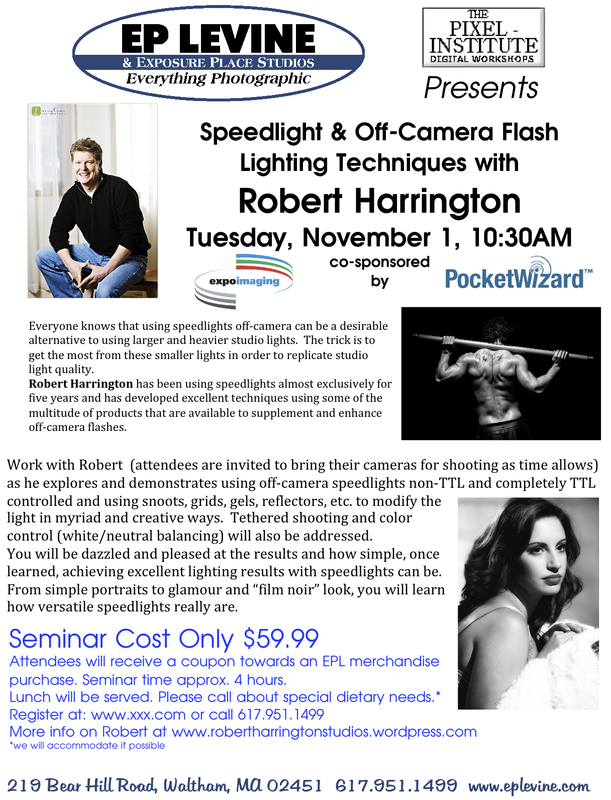 I will be presenting off camera flash again at the B+H Photo Event Space on November 14 from 3-5. 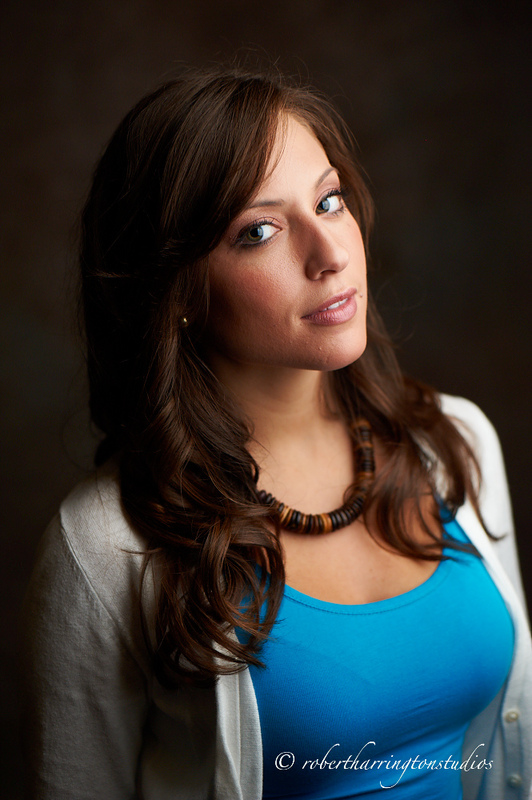 I’ll be offering an off camera flash workshop in Times Square that same evening from 8-10ish. Place: Times Square, we’ll meet at the Police Substation between 7th and 8th Ave. If you are interested in getting fun shots in Times Square, learning how to gel a flash for color balancing, and just want to have fun, then sign on now! Contact me at rvh34@hotmail.com or 203-641-2880. Space is limited, so sign on now!! Last night I ran an event with Milford Photo and Ray Nason of Mac Group. We demonstrated the new Pocket Wizard Flex TTL system. One of the highlights of the night was the use of High Speed Sync and Hypersync, which allows you to use faster-than-normal shutter speeds. Here I used an SB900 into a 24 x 36 Creative Light Softbox. The Pocket Wizard Flex TTL system is an extremely versatile system that you can use to fire small flashes and big strobes alone or side by side. If you don’t have it yet, look into it as it will help you get your work to the next level. I’ll be doing a sponsored presentation on Tuesday, November 1 at EP Levine in Waltham, MA. I’ve been delinquent in blog posts over the past few weeks but will have more to come as I get reorganized this week. It has been a busy time over the past two weeks with a ton of stuff coming up for the Fall. About two weeks ago I presented off camera flash to the Oxford Camera Club and Linley, the model for January Jones, came down for the evening. I’m still processing photos, but here is one of my favorites.